Churches for Middle East Peace, a coalition with representatives from 22 national Christian denominations has praised the Obama administration's controversial abstention on a recent United Nations Security Council vote condemning Israeli settlements on land held since 1967. "Churches for Middle East Peace (CMEP) supports the abstention of the U.S. administration which allowed this resolution to pass. This historic action was one of the first times in recent years where the United States did not utilize its power of veto within the UNSC to block actions within the U.N. that address major global concerns about the Israeli/Palestinian conflict," wrote the organization's executive director Rev. Dr. Mae Elise Cannon. "We believe the call on both parties to return to the negotiating table, to mitigate conflict and incitement, and for the Israelis to end the settlement enterprise are fundamental efforts that can lead to a just peace," she added. 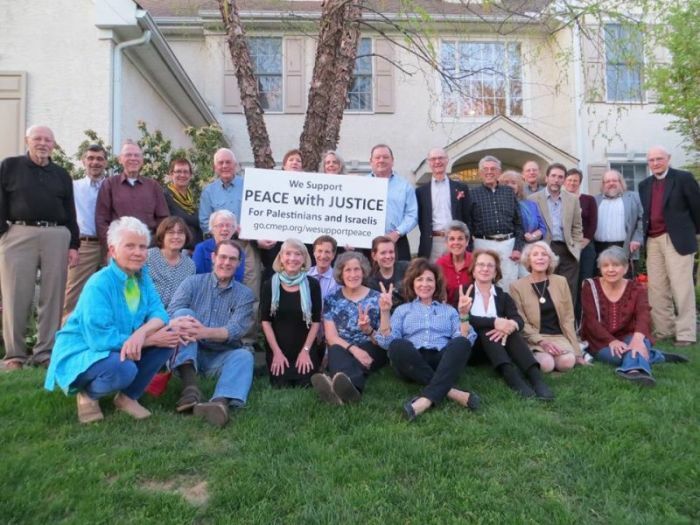 Churches for Middle East Peace, established in 1984, works to encourage U.S. policies that actively promote a fair and sustainable resolution of the Israeli-Palestinian conflict. Its board of directors includes leaders from Catholic, Orthodox and Protestant congregations in denominations such as the United Methodist Church, American Baptist Churches, USA and Presbyterian Church, USA with a reach of nearly one million. Earlier this month, Cannon had urged the Obama administration in a letter to vote "yes" on the resolution that reaffirmed last Friday: "that Israel's establishment of settlements in Palestinian territory occupied since 1967, including East Jerusalem, had no legal validity, constituting a flagrant violation under international law and a major obstacle to the vision of two States living side-by-side in peace and security, within internationally recognized borders." "Since the Oslo Accords were signed in 1993 the settler population in the West Bank, including East Jerusalem, has more than doubled and over 50,000 new settlement units have been built, 11,000 of them between 2009 and 2015," Cannon had said in her letter to Obama urging him to vote "yes" on the resolution. "While you and your predecessors sought a sustainable peace agreement, Israel continued to expand old and build new settlements over the Green Line creating ongoing obstacles to peace. Currently political forces in both Israel and the United States are working relentlessly to redefine settlements as legal parts of the nation state of Israel." On the other hand, Laurie Cardoza-Moore, president of Proclaiming Justice to the Nations, an organization "established to educate Christians about their biblical responsibility to stand with their Jewish brethren and Israel" and serves as UN special envoy for the World Council of Independent Christian Churches wants President-elect Donald Trump to punish the UN for the vote as soon as he is sworn into office next month. "We are calling on President-elect Donald Trump, upon his first order of business on January 21, 2017, to call upon Congress to cut all funding to the UN and to immediately begin the process of moving the US Embassy from Tel Aviv, to her biblical, ancient capital, Jerusalem," Moore said according to The Jerusalem Post. "As Christians around the world were preparing to celebrate Christmas, and our Jewish brethren were preparing for Hanukka, the United Nations, with the wide-predicted support of President Barack Obama — with a single vote, they have denied our Jewish brethren the rights to their homeland as well as threatening the very survival of Christians and our holy sites in the biblical heartland," she explained. "It is past time for the US to send a message loud and clear that we the people will stand with our Jewish brethren and Israel in the struggle for her right to inhabit her ancient biblical and legal homeland." United States Secretary of State John Kerry explained on Wednesday that the decision to abstain from voting on the Security Council resolution was an effort to preserve the "viable two-state solution" to the longstanding Israel-Palestine conflict which is now in jeopardy. The status quo in Israel he said is spurring the development of settlements in a push toward a one state solution that the public doesn't want and which he believes will lead to more conflict.